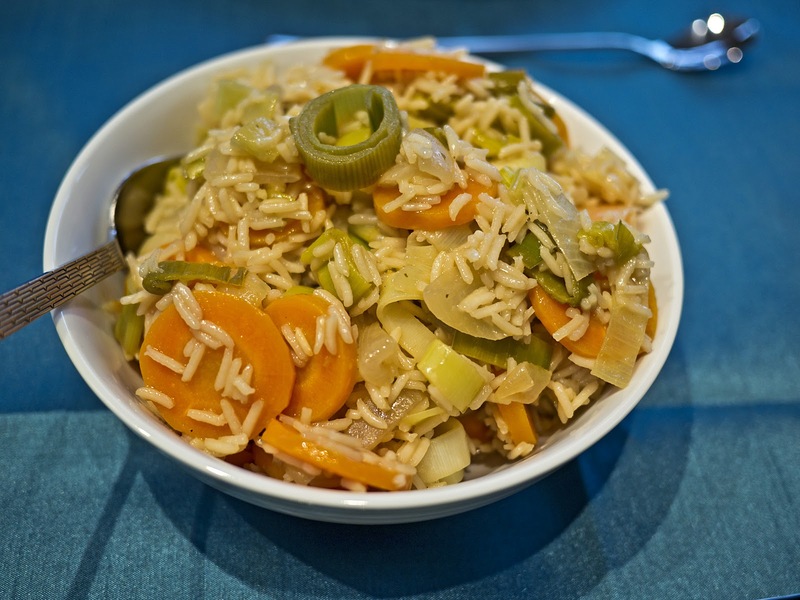 This is a Turkish side dish of leeks and carrots with rice, and is very easy to make as well as a good way of ensuring you get some superfree with your meal. Sauté the onion in Fry Light for a few minutes, then add the carrots and continue frying for 3-4 minutes longer. Add the leeks and stir for a couple more minutes. Add 2/3 cup of water, the sweetener, salt and pepper. Bring to the boil, then add the rice and lemon juice. Cover and cook on a low heat until the rice is cooked.